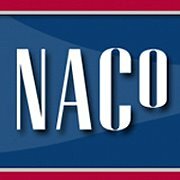 The National Association of Counties (NACo) is the only national organization that represents county governments in the United States. Founded in 1935, NACo provides essential services to the nation’s 3,068 counties. NACo advances issues with a unified voice before the federal government, improves the public’s understanding of county government, assists counties in finding and sharing innovative solutions through education and research, and provides value-added services to save counties and taxpayer money.